PAT's main office is located in Anchorage, Alaska. All employees hired for a position based in Anchorage, Fairbanks and Seward are required to acquire housing in or near the city and must have transportation to and from the office. Roles involving travel include: Tour Director, Tour Motorcoach Driver and Onboard Rail positions. Out-of-state employees are responsible for providing their own transportation to and from Alaska. 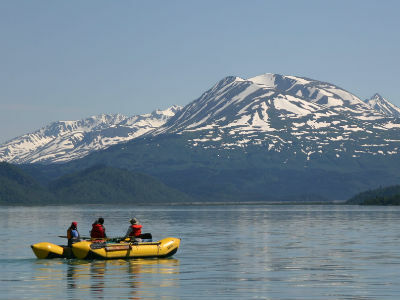 Anchorage and Fairbanks can be navigated relatively easily. Public transportation is available throughout each city. Seward is a smaller town and much of it can be covered by foot, bicycle and public transportation. For Work: If hired, your supervisor will advise you of your uniform requirements. For some positions, PAT will issue shirts, a vest and jacket as part of the uniform. For Play: Casual clothes that can be layered to adjust to the changing climate are highly advised. A light jacket, umbrella and hat are recommended in the event unpredictable weather arises. If you want to get out and enjoy Alaska, be sure to bring your adventure gear, as we Alaskans can experience all four seasons in one day. We suggest bringing the following: camera, binoculars, hiking boots, rain gear, baseball cap or visor, sunglasses. For the Adventurer: If you plan on taking advantage of the great outdoors, you may want to bring hiking boots, rain gear, backpack, tent, thermarest/camping pad, and a bicycle.